Morrison Hotel Gallery Announces Its Newest Gallery Location At Dream Downtown In NYC, New York. Situated between the vibrant destination neighborhoods of the Meatpacking District and Chelsea, Dream Downtown provides the perfect setting for Morrison Hotel Gallery's iconic fine art music photography. New York, NY, September 16, 2013 - Morrison Hotel Gallery announces the launch of their new gallery at Dream Downtown in Manhattan's Meatpacking District, opening on Thursday, September 19th. Dream Downtown, a luxury lifestyle hotel located at 355 East 16th Street, will transform its major spaces to include a fine art music photography gallery and retail operation exhibiting a selection of works from the archives of the world-class music photographers represented by the Morrison Hotel Gallery. Hotel guests and patrons of the multiple nightlife venues of the hotel will also have the opportunity to acquire the artwork from the gallery while on property. This new installation marks an exciting addition to their main location in the heart of SoHo as well as their newest location at the Sunset Marquis Hotel in West Hollywood, Los Angeles. 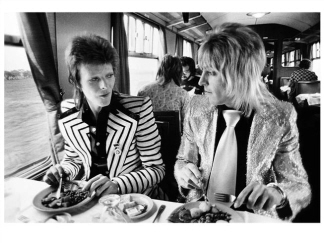 The Morrison Hotel Gallery at Dream Downtown will feature selected works from [Henry Diltz, Bob Gruen, Mick Rock, Frank Stefanko, Danny Clinch, Herman Leonard ,Julian Lennon, Chris Stein, Dave Stewart, Neal Preston, Ethan Russell , Terry O'Neill, Emmett Melloy, Gered Mankowitz, David Gahr and many other great photographers ] as well as new pieces offered exclusively at this new location and large scale prints never before offered. Says gallery co-owner, Peter Blachley, "Our relationship with The Dream Hotel has seen growth in how we approach our customers and their creative tastes. It makes sense that the Morrison Hotel brand move forward in setting up this relationship based in their beautiful downtown property. Our iconic imagery will fit beautifully on the wall spaces in the hotel creating an authentic and iconic collection both for the hotel and their customers. " "The Morrison Hotel Gallery is the perfect partner for Dream. After our first partnership with MHG at last year's Art Basel Miami, we collectively decided we wanted to dive deeper into the relationship with a permanent installation in our New York flagship property." Says Brendan McNamara, SVP Brand Development and Brand Director for Dream Hotels. "There is so much life in the photography they showcase that the subjects seemingly jump off of the walls. The scenes play out as dream sequences for all of us that don't live our whole lives in the limelight, and for our clients that do, the art pays homage to their craft." 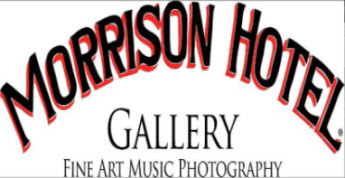 About Morrison Hotel® Gallery - Morrison Hotel® Gallery (MHG) was founded in 2001 by former record company executive Peter Blachley, music retail industry professional Richard Horowitz, and legendary music photographer Henry Diltz. In 2012, author, director and photographer Timothy White joined the team, launching an additional West Coast gallery at The Sunset Marquis Hotel in West Hollywood. With four locations including: Prince Street in SoHo; the Dream Hotel in the Meatpacking District; the Mens Market at the Americana Manhasset on Long Island; and the Sunset Marquis Hotel in West Hollywood, the company is at the forefront of culture. Visit morrisonhotelgallery.com.